It seems every year the famous Ringbrothers unveil yet another astounding car at the SEMA show. This year one of their creations is the G-Code Camaro. 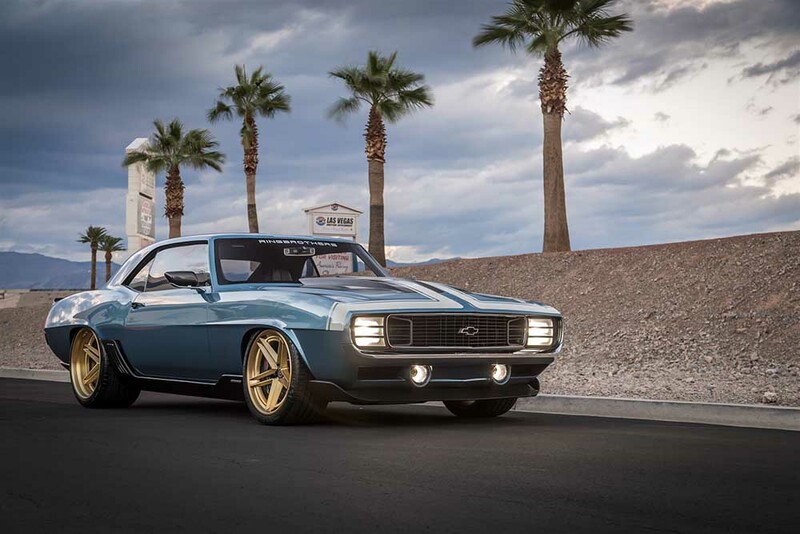 Just when you thought you'd seen just about every version of a '69 Camaro possible, this one proves that innovative builders can still do something fresh with a well-known canvas. The Camaro is called the G-Code because of the supercharged LS3 engine pushing out nearly 1,000 horsepower. Check out the photos of this amazing car below as well as the official press release for the car's debut at SEMA. 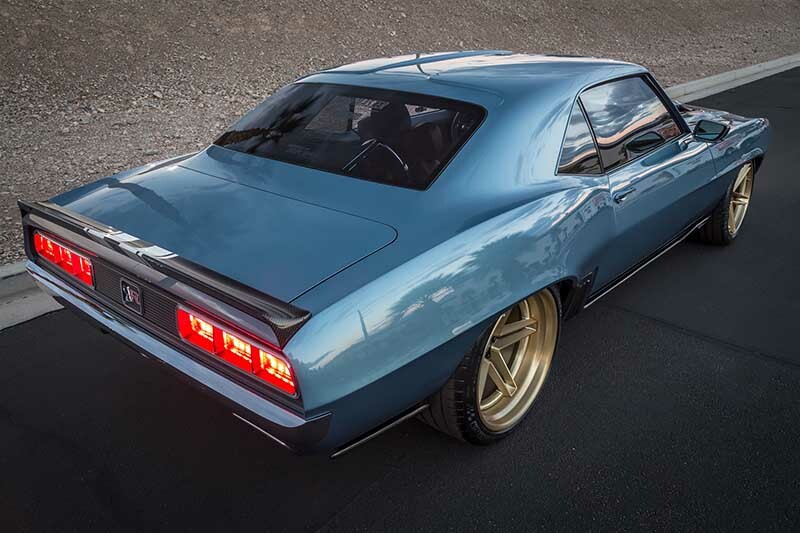 The bespoke muscle car artisans Mike and Jim Ring of Ringbrothers pulled the cover off their newest 1969 Camaro build, "G-Code," in the Royal Purple booth at the 2016 SEMA Show on November 1, 2016. 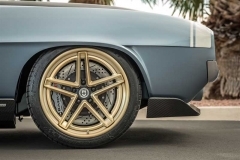 The "G-Code" Camaro was built to stand apart from the bounty of muscle cars at the SEMA Show with unique bodywork, hand crafted carbon fiber elements and its abundance of high-quality Ringbrothers billet products. Wisconsin native and "G-Code" owner Don Atkinson always had a desire to own a 1969 Camaro RS. 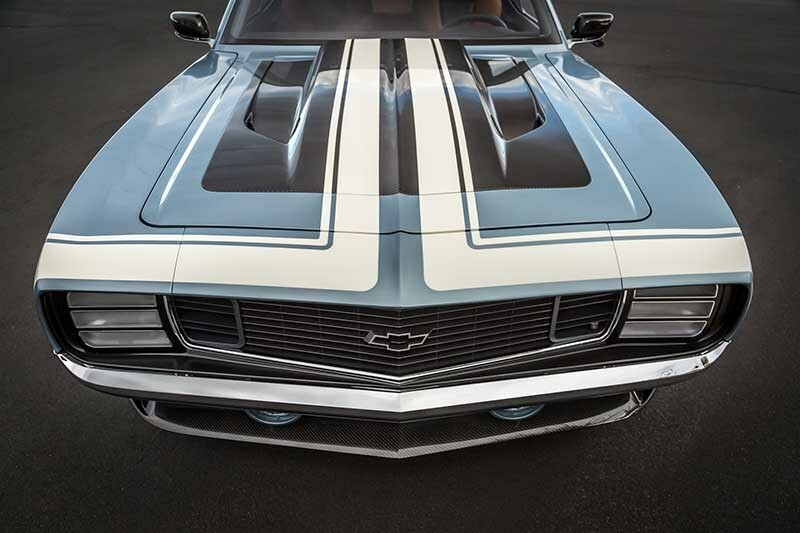 He loved the design by GM, but he didn’t want just any 1969 Camaro – he wanted a truly unique, one-of-a kind Camaro that no one else in the world would have, so he went to Ringbrothers. 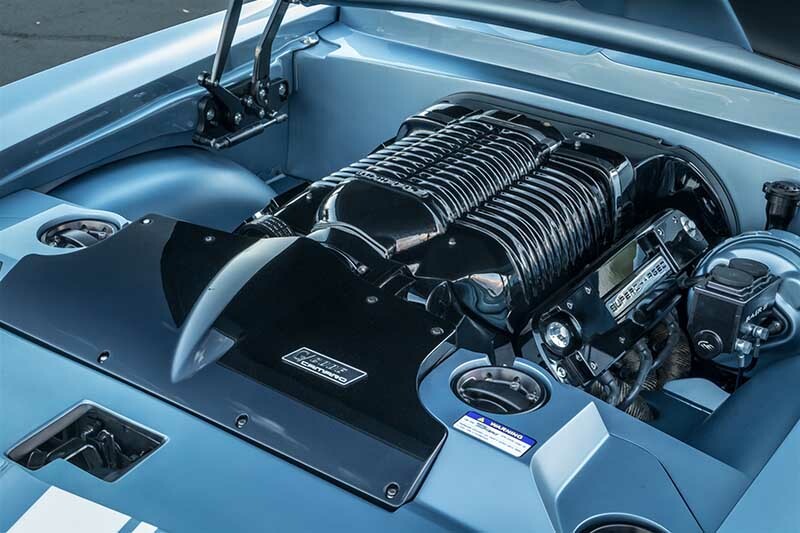 "G-Code's" transformation began with the power plant – an LS3 motor from Chevrolet. Wegner Automotive beefed up the horsepower with a Whipper Supercharger and an increase in displacement to 416 cubic inches, bringing the output up to nearly 1,000hp. All those ponies are then sent through a Bowler-built Tremec six-speed transmission and a Centerforce Clutch. The engine is kept cool with help from Prestone coolant and everything from the motor to the transmission are running at peak condition thanks to lubricants from Royal Purple. Exhaust is expelled though a set of custom headers designed by Ringbrothers and then into the custom Flowmaster stainless steel exhaust system. But "G-Code" isn't all about straight-line speed. To make sure the car was equally as adept at going around a corner, Mike and Jim Ring used a Detroit Speed full suspension setup including a Hydro Form front clip and Quadra-Link rear with AFCO shocks on all four corners. 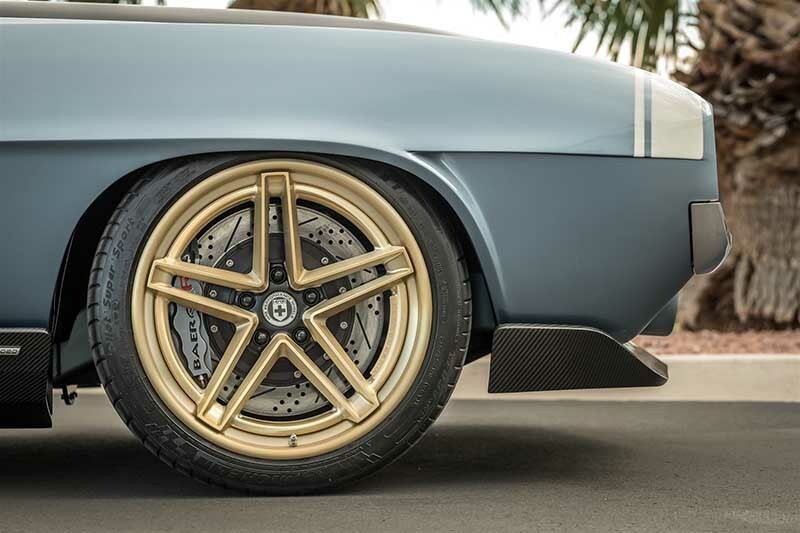 To bring "G-Code" down from triple-digit speeds, massive Baer Brakes six-pot calipers were installed at all four corners with 15-inch rotors in the front and 14-inch rotors in the rear. The Rings worked with the folks at HRE Performance Wheels in California to design a custom set of forged wheels sized at 19x10 in the front an 20x13 at the rear, inspired by the IROC-Z Camaro wheels of the '80s and wrapped them in Michelin Pilot Super Sport tires measuring 275/35/19 up front and 335/30/20 out back. 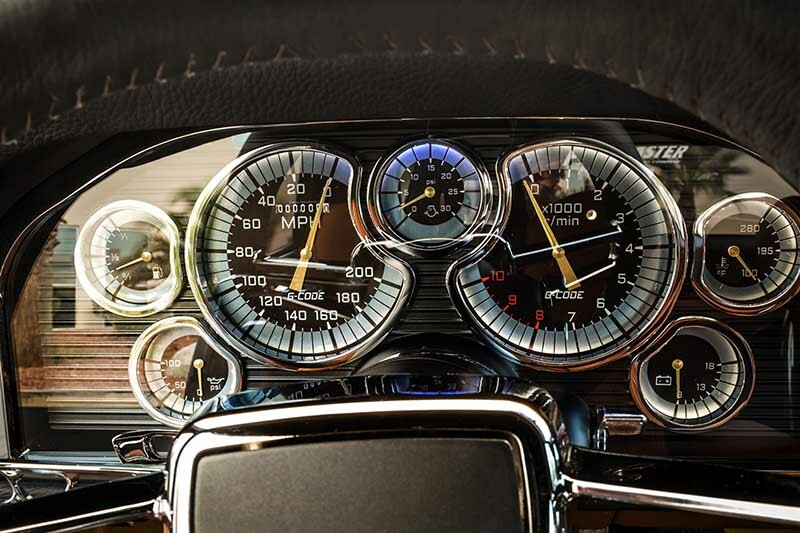 The cabin of the first generation Camaro was carefully designed with driver comfort in mind. 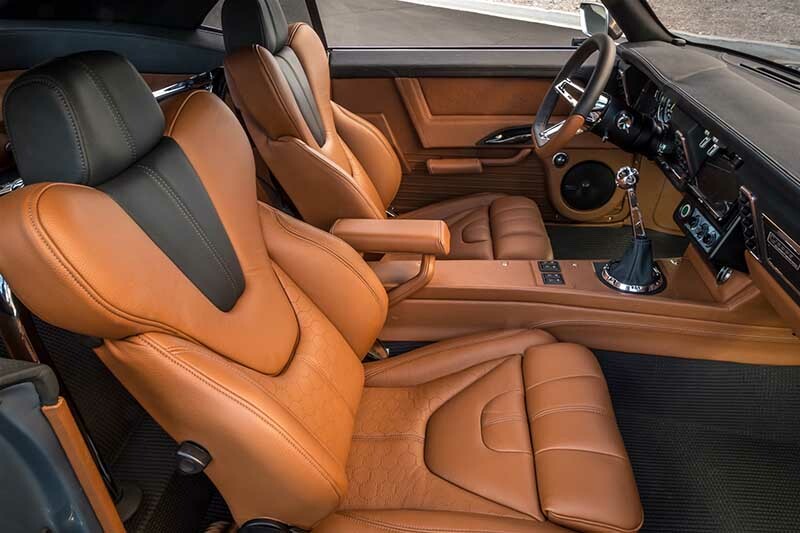 The interior upholstery was custom crafted by Upholstery Unlimited and is kept at the perfect temperature with a Vintage Air climate control system. 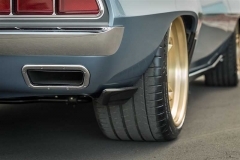 Ringbrothers walked a tight rope with the body of the "G-Code" Camaro. Mike and Jim Ring wanted to stay within the confines of what makes a '69 Camaro a '69 Camaro, but also wanted to push the boundaries of style to make the car stand apart. Every part of the car was customized including the bumpers and the grille, while the hood was crafted using hand-laid carbon fiber. To highlight the body work, "G-Code" was coated in a custom BASF Glasurit hue named "Blue Print." "We’re really happy with how the 'G-Code' Camaro came out," co-founder of Ringbrothers Jim Ring said. "Doing a car based on such a popular model is always a challenge, but Mike and I sat down and really thought about how we could do this car differently and I think we succeeded."